There is a huge omission in the practice of gynecology. It’s called Intimacy and Romance. While Gynecologists feel comfortable discussing the sexual wellness problems and challenges of women and their partners, the intimate conversations of romance, are not something located on the doctor’s checklist of specialties. Since OB/GYN’s have busy obstetrics practices, there is little time to sit down and talk to women about their sexuality and happiness in their intimate relationship. And, if the doctor happens to be male, crossing over the doctor-patient relationship becomes very easy when speaking about extremely personal situations. As a result, Dr. Gaudry got some extra training to help you. Counseling that is meant to bring you closer to your partner or your better-half. Women are living longer than they ever have before and they are maintaining a sexual life longer than any other time in history. 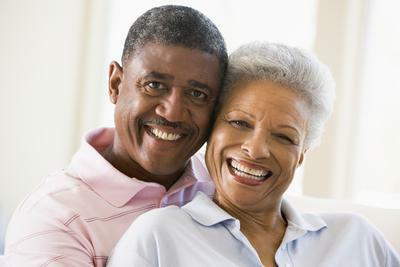 With the introduction of drugs for erectile dysfunction, it is imperative for women to prepare themselves for the menopausal transition. Women must be educated about the changes that are going to take place during menopause and what they can do to prevent and/or prepare for these changes. In general, men and women have a difficult time discussing their intimate sexual relationship even after being married or together for many decades. Sexual health and function have often been viewed by older patients as a “taboo subject”. It is not a taboo subject at Dr. Gaudry's office. She welcomes change as growth...and growing to a state of romantic and sexual happiness, is definitely up there on our scale. As we live our lives, our bodies change and, most often, it is difficult to explain these changes to our partner. At Dr. Gaudry's office, her goal is to encourage and promote this kind of communication and help make the transition into post-menopause easier for both women and men. Men may also want to discuss the most current options for optimal sexual functioning. Improving communication between partners, improving mismatched libidos, and re-igniting the romance in your marriage is Dr. Gaudry's goal for you.